A US Navy Super Hornet has crashed in the Persian Gulf shortly after taking off from the aircraft carrier USS Theodore Roosevelt, the US Navy said in a press release. Both crew members survived and are reported to be conscious, alert and not seriously injured. Both pilots were quickly rescued by search and rescue personnel from the Theodore Roosevelt. The Navy is investigating the cause of the incident but “the crash was not a result of hostile activity,” a Navy spokesman said. The USS Theodore Roosevelt was operating in the north of the Persian Gulf in support of airstrikes against the Islamic State in Iraq and Syria. 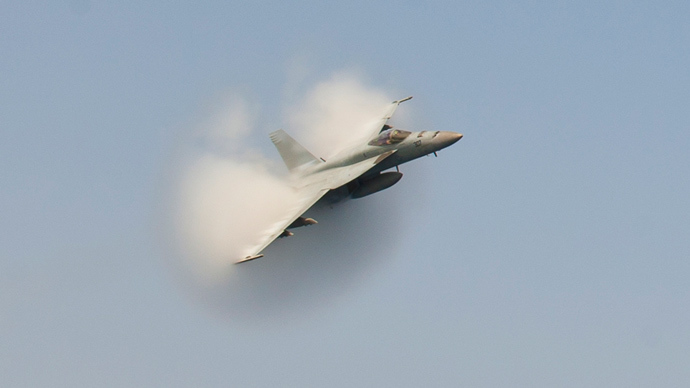 The aircraft involved in the crash was an F/A-18F Super Hornet, belonging to Strike Fighter Squadron 211, based at Naval Air Station Oceana in Virginia and assigned to Carrier Air Wing One. The Boeing F/A-18E Super Hornet is a twin seat twin engine multi-role fighter aircraft, which first flew in 1995 and has been in service with the Navy since 1999.